We are proud to announce that the Incorporations Marketplace has launched this month. Inside this marketplace, you can set up a new corporate entity and pay for services with KEY tokens. Each individual listing includes the latest information on tax rates, legal requirements, country details, tax treaties, annual fees, reporting requirements, and much more. 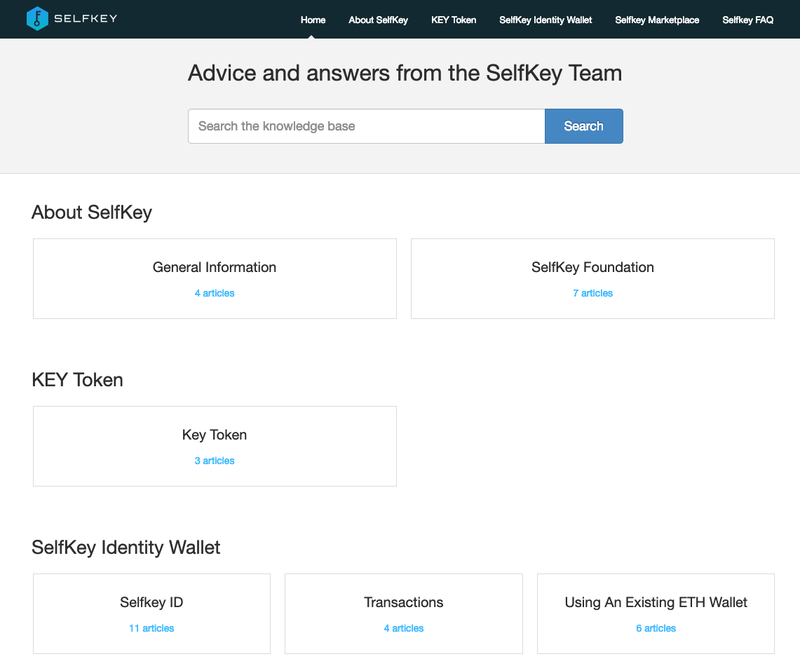 To check out and learn more, download the free SelfKey Identity Wallet here. Each incorporation listing also displays the required identity documents and information needed for the KYC process, reducing the required back and forth communications that can create delays. The current jurisdictions available are: British Virgin Islands, Cayman Islands, Cyprus, Estonia, Hong Kong, Malta, Panama, Singapore, Switzerland, and the United Kingdom. Payment for incorporation services will be conducted in KEY tokens priced against a USD exchange rate. Confirmation, follow-up questions, and final documents on company formation will be sent via email. 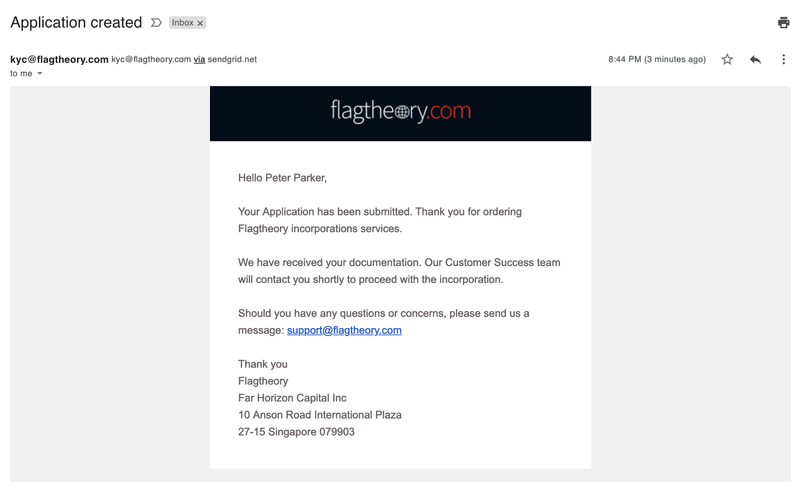 Founded in 2012, Flag Theory is the initial partner that will be providing incorporation services within the SelfKey Marketplace. You can read more about the company here. to achieving more milestones and partnerships in 2019 and will update you again next month. 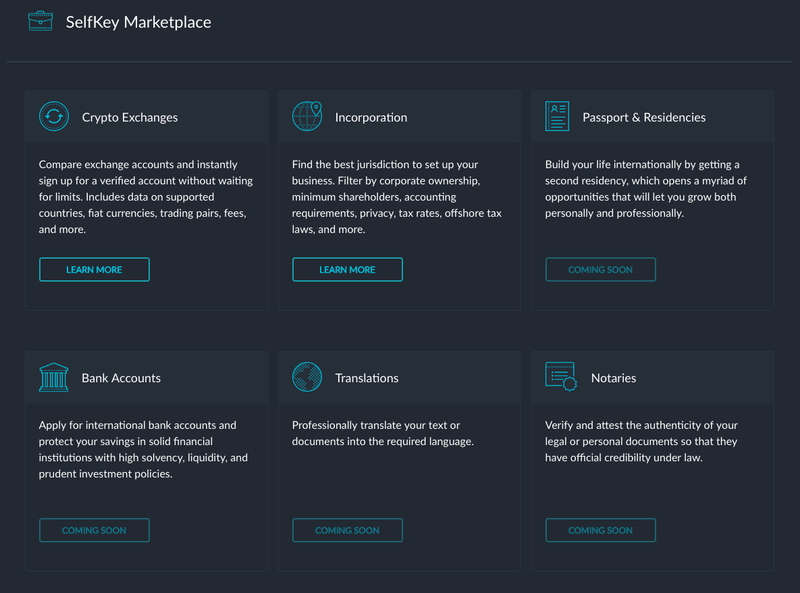 With a new Incorporations marketplace comes new functionality in the SelfKey Identity Wallet, and we have updated our Help Documentation (here) along with the YouTube channel (here) that shows you how to get started with these new features. Below you will find a brief summary on what is available. If you have any questions, you can always get in touch with us at help@selfkey.org. In previous versions of the SelfKey Identity Wallet, to switch between Ethereum addresses you had to close and restart the application. We’re happy to announce that now you can simply click “Switch Account” in the main menu and seamlessly use different Ethereum addresses. Part of what allowed this to happen is the full refactor of our codebase from AngularJS to ReactJS. Without going into technical details, the old code base did not have the ability for the wallet to switch “states” and only was able to have one active state at a time. 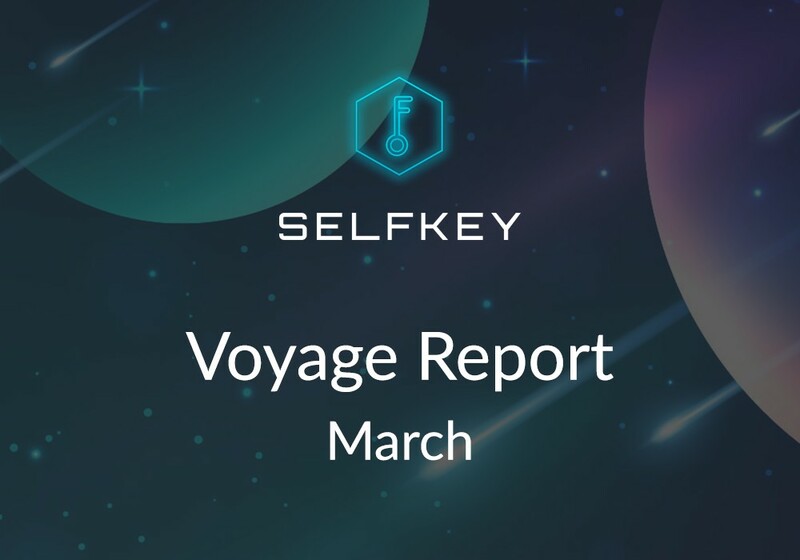 Throughout the past year, we’ve also had to prioritize building key features such as the SelfKey Marketplace before building out other functionality like this one. Released: Full ReactJS Refactor, New UI Style Guides, & Components. If you’ve had previous versions of the SelfKey Identity Wallet, you may have noticed that some of the interface elements now look different in version 1.0.0. This is because we’ve revamped the code base from an older architecture of AngularJS to ReactJS, along with standardizing some display components that you see in the application. This makes our tables, fonts, buttons, and overall presentation look much more presentable. We’ve also updated the logo to be consistent across different formats depending on where it is used. Moving to ReactJS also gives us some added benefits when the mobile wallet is released, as the development team will only need to manage one code base between desktop and mobile. It’s a better use of team resources and allows us to be more efficient. In the past month, we’ve also contracted some new designs for the SelfKey website. 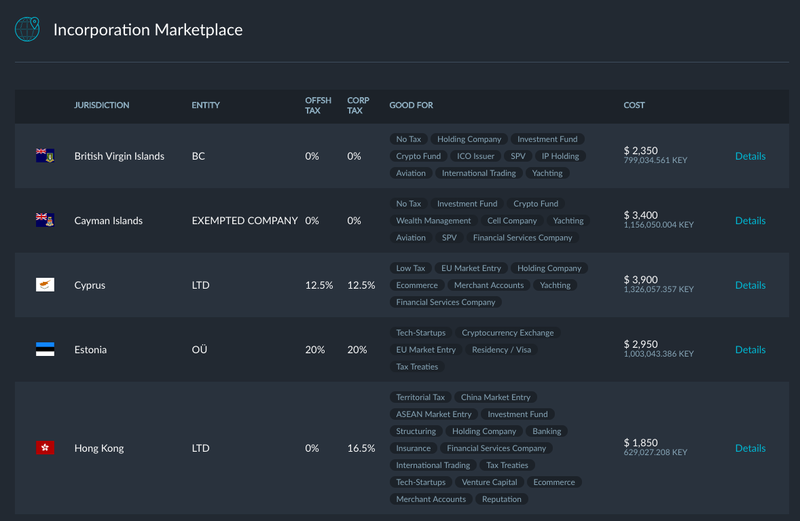 With the launch of the marketplace, this is a new milestone for the company and there is some much needed information that needs to be updated. This new website will load faster, look better, and feature more details about our upcoming roadmap. Data is a new asset class in the digital world, and your identity is the new form of currency. With the right personal information such as financial, medical, location, or shopping data — companies stand to make billions off your information. Current paper-based systems are not suited for a digital world with many bottlenecks and inefficiencies. Your school diploma only proves that you graduated. Your driver’s license only proves that you can drive a car. If you try to take them abroad, they will have to be translated, notarized, and certified. Persistent: DIDs should be permanent and non-reassignable. This ensures that the identifier always references the same entity. This is critical for being self-sovereign. Globally Resolvable: This ensures that action can be taken against a resolution. An example could be resolving identity requests between different blockchains since DIDs are designed to be interoperable. Cryptographically Verifiable: Cryptography allows you to prove ownership and authorship when it comes to communication which makes it critical for DIDs to work. Decentralized: DIDs should function without a central authority that makes it censorship resistant. We are delighted to announce that the security token listing and analysis platform STO Rating will be using KYC-Chain’s compliance software to onboard project leaders. STO Rating was one of the first platforms to identify the trend towards security tokens and has since established itself as one of the most reputable review websites in the space. The SelfKey technology and team graduated from several accelerators as KYC-Chain, powering some of the most promising token sales and KYC processes for fintech startups. KYC-Chain donated the SelfKey Identity Wallet code base to the SelfKey Foundation in 2017. Ben is one of SelfKey’s longest serving team members, and has played a crucial role in developing many different aspects of the SelfKey ecosystem. His expertise is felt throughout SelfKey as well as the Digital Identity Podcast, which he runs alongside Terry Lin and Carlos Bruguera.